Count on us to help you get the most out of your home’s gutters. Even though your gutters may not be functioning properly, the problems you’re facing may not warrant replacing the entire system. 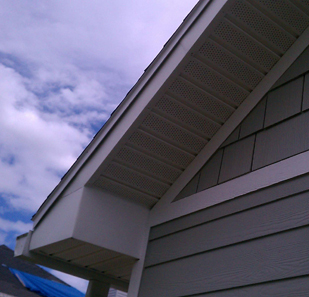 If your gutter is suffering from minimal damage, you may only need to invest in gutter repair. In Jacksonville, FL, and the surrounding areas, Gutters & Covers LLC performs affordable repairs that will quickly have your gutters performing like new again. Our experienced professionals help you extend the usable lifespan of your existing system. There’s no need to worry about paying too much for your drainage system when you leave the job to us. Our professionals take on the task of repairing your gutters promptly and safely at the area’s most competitive prices. At our trusted company, we guarantee that our gutter solutions are the answer you’re looking for. We are confident that once we finish our repairs, you’ll see the dedication to quality that separates us from the rest. Your outdoor drainage system plays an important role in protecting your house. When gutters work properly, they efficiently redirect rainfall away from the main parts of your house’s structure. By properly maintaining your gutter system, you safeguard your home’s materials from aging and weakening before their time. A good gutter system is one more way to keep your home’s walls, ceiling, flooring, and foundation stronger for longer. Although most gutters are built to last, even the most durable gutter materials will eventually show signs of wear and tear as the years go by. Constant exposure to the elements, infrequent cleanings, and other factors may weaken the gutter’s supports or the gutters themselves. With our services, though, you can breathe fresh life into aging or weakened drainage systems. The comprehensive repairs that our team offers are designed to fix any of your gutter’s problems. Repairing gutters for Jacksonville homes may not seem to be a very difficult task. However, if the proper precautions aren't taken, it can become a dangerous and costly task. With gutter repair services in Jacksonville from Gutters & Covers LLC, you won't have to worry about any ladder accidents or short-lived solutions to your problems. to having to replace your entire gutter system. Roof Damage—If your damaged gutters become too heavy with water, they can rip away from your roof, and cause roof damage. Water Damage—If your gutters aren't draining properly, overflowing water can cause water damage to your home's structure. Repairing gutters for local homes may not seem like a very difficult task. However, if the proper precautions aren’t taken, repairs can be costly and even dangerous. When you call us to assess your damage and provide repairs, you receive experienced professionals who do the job right the first time. We are committed to repairing gutters in a cost-effective and timely manner. At our company, we believe that high-quality repairs mean more than just a temporary quick-fix. Our team is dedicated to identifying and correcting the underlying causes of damage so that your system drains water properly for a long time to come. As our customer, you can expect our professional commitment to the longevity and performance of your gutters. Let us show you how the affordable price of gutter repairs keeps your system working its best. By letting us maximize the lifespan of your gutters, you save significantly over the long run by avoiding the need for major water damage repairs and premature gutter replacement. 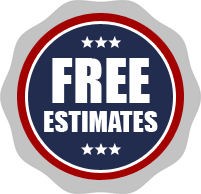 If your gutters have seen better days, call us for a free estimate on repairs today. Contact Gutters & Covers LLC to learn about our 10-year labor warranties on residential work! We provide gutter repair in Jacksonville, Ponte Vedra, St. Augustine, Orange Park, and Green Cove Springs, Florida.